We offer several types of batteries that will power any generation of the Lumedyne Power Packs and modular Cyclers. The NiCd (Nickel Cadmium) style battery is the type that we have been making since 1980 and these have a 100 month pro-rate warranty. We buy the best no memory cells available and we guarantee their performance based on real flashes per charge. There are a number of charger options for these and the NiMh batteries. The NiMh (Nickel Metal Hydride) batteries offer at least 50% more flashes per charge than the same size NiCd option. The MiMh batteries have a four year pro-rate warranty because they are not rated for as many charge cycles as the NiCd cells. 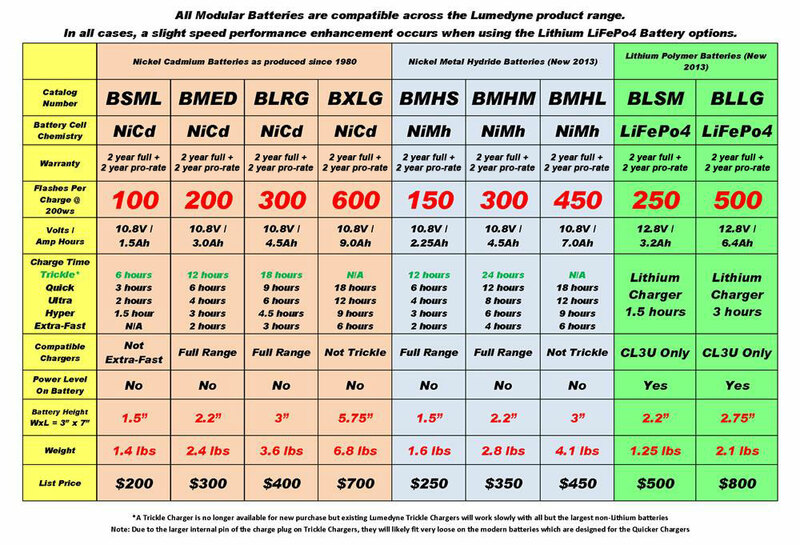 However, in our tests over the last five years, we have experienced similar life spans from both types of batteries so these NiMh batteries offer the most flashes per dollar of any of the options we have. We have selected high quality LiFePo4 cells for our Lithium option because these have the highest duty cycle and longest lifespan of any of our battery options. Also, LiFePo4 batteries are much safer than the types of Lithium Ion batteries that can explode. Because these cells are so strong and lightweight, we are able to offer a ten year pro-rate warranty on their performance. You must use the appropriate LiFePo4 charger with these batteries but at least it is very fast charging times and the cells hold their charge for a very long time. 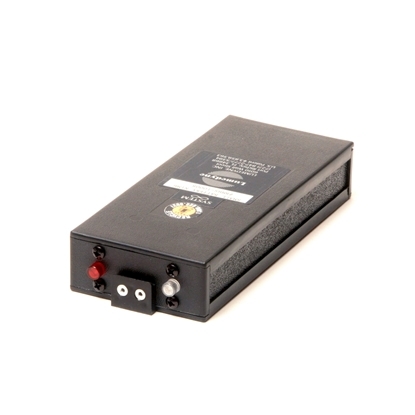 The BSML Battery provides 100 flashes at 200ws with a 100 month pro-rate warranty. It uses a single deck of NiCd battery cells and is about 1.5 inches tall and weighs just under a pound and a half. 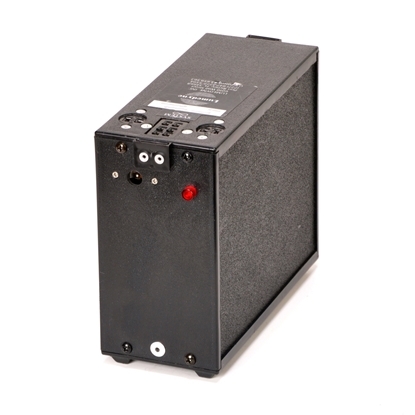 The BMED Medium sized Battery provides 200 flashes at 200ws with a 100 month pro-rate warranty. It uses two decks of of our no memory NiCd battery cells and is about 2.2 inches tall and weighs just under two and a half pounds. 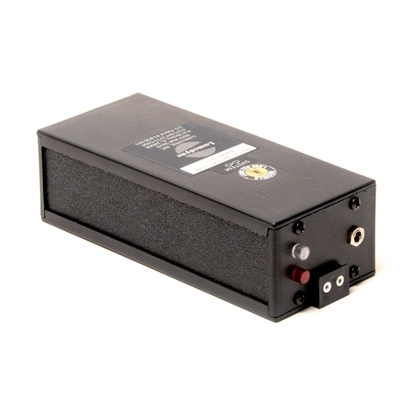 The BLRG Large sized Battery provides 300 flashes at 200ws with a 100 month pro-rate warranty. It uses three decks of of our no memory NiCd battery cells and is about 3 inches tall and weighs just over three and a half pounds. 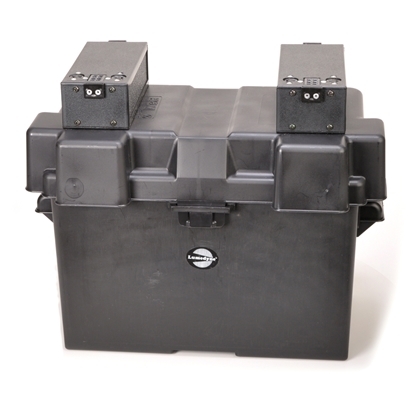 The BXLG Extra Large sized Battery provides 600 flashes at 200ws with a 100 month pro-rate warranty. It uses six decks of of our no memory NiCd battery cells and is just under six inches tall and weighs in at a little under seven pounds. This is the monster battery. 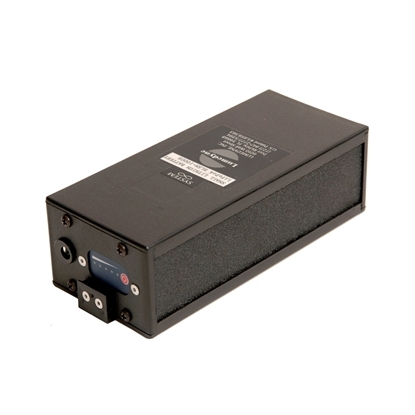 This battery has the added connectors needed for the Extra Fast High Speed Module. The BMHM Battery provides 300 flashes at 200ws with a Four Year pro-rate warranty. 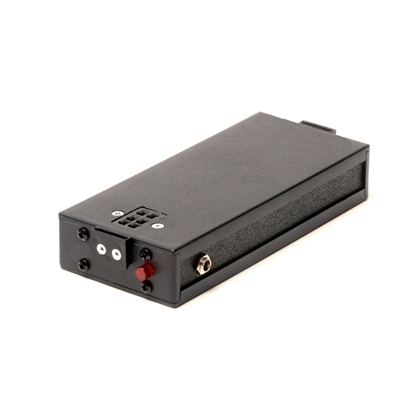 It uses a double deck of NiMh battery cells and is about 2.2 inches tall and weighs less than three pounds. 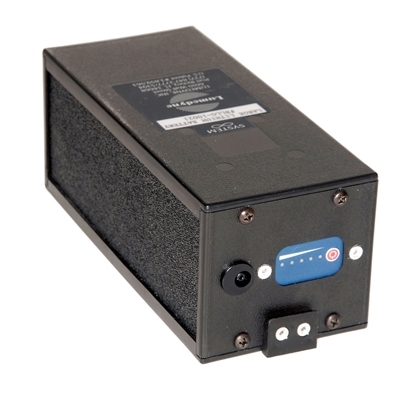 The BMHL Large Battery provides 450 flashes at 200ws with a Four Year pro-rate warranty. 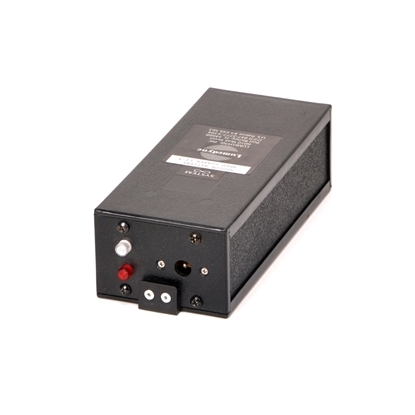 It uses three decks of high amp hour NiMh battery cells and is about 3 inches tall and weighs just over four pounds. The BLSM is a type of Lithium battery. It has a battery gauge right on the front of the battery. These charge up the fastest, hold their charge the best, last for the most charge cycles, have the longest pro-rate warranty and have the most flashes per pound of any of our battery options. You must use the CL3U LiFePo4 Charger but it will be finished charging up in less than an hour and a half. 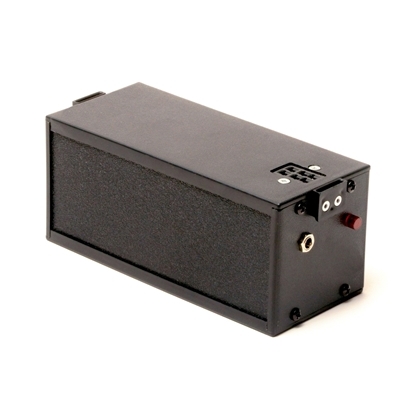 At 200ws this Battery provides 250 flashes per charge. 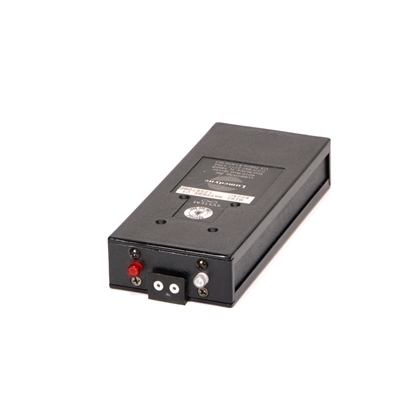 BLSM Small LiFePo4 Battery is a safe style of Lithium chemistry that will not explode and is very lightweight with a lot of flashes per charge and over 2000 charge cycles. 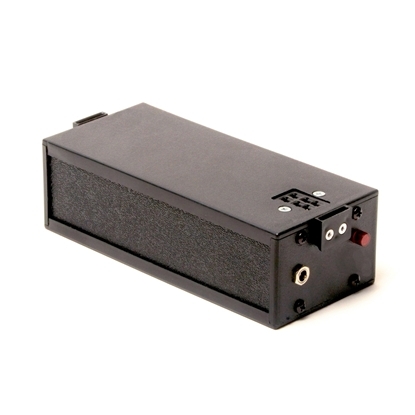 The BLLG is our high capacity Lithium battery. It has a battery gauge right on the front of the battery. This Battery charges up fast, holds the charge the best, lasts for the most number of charge cycles, has the longest pro-rate warranty and has the most flashes per pound of any of our battery options. You must use the CL3U LiFePo4 Charger but it will charge it up fully in less than three hours. 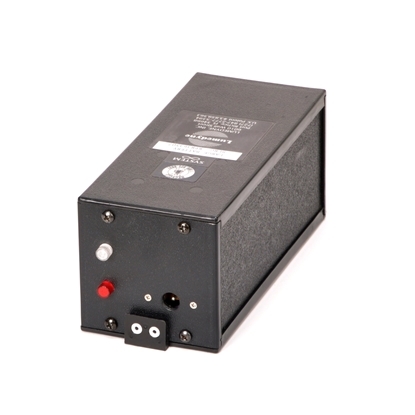 At 200ws this Battery provides 500 flashes per charge. 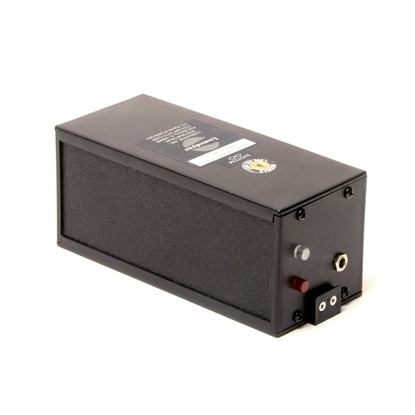 The BLLG Large LiFePo4 Battery is a safe style of Lithium chemistry that will not explode and is very lightweight with a lot of flashes per charge and over 2000 charge cycles.